What inspired you to write about angels? I had been wanting to write a story about Lucifer in a different light, and involved in a love story since 2005. At the time, the rage of Werewolves and Vamps, and not a whole lot of angel books. By the time I got around to figuring out how I wanted the story to play out, I almost didn’t write it because suddenly, the YA world was inundated with angel stories! Yes and no. I’ve always written, since I was about 5 years old when I would do picture books. 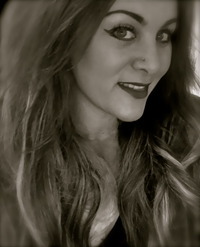 I wanted to write, then be a cartoonist, then I had aspirations to be the first female major league baseball player, then I wanted to go into journalism, screenwriter, I was a singer/songwriter/musician for a while — always though, writing was at my core. The struggle between good and evil is an age old one, can you remember the first good and evil story you read that affected you or affected your writing? Probably the bible. My mom was always reading passages to me. The other one that pops into my head that I remember as a child, even though not a book, was the original Star Wars movie. How long did it take you to write your first draft of The Morning Star? Yup, I’m working on book 2, “Equinox” and there will be a third, as well as a novella - prequel that goes further into the love story/triangle between Lucifer and Michaela and Ramiel. Social Media — I’m a member of Facebook Addicts Anonymous!!! Emily: Thank you Tania for stopping by! 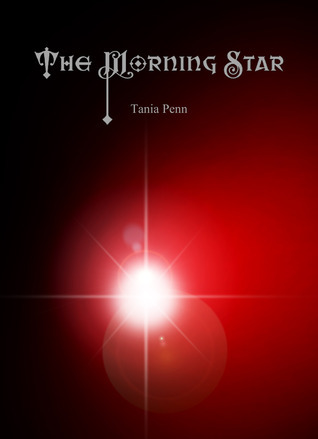 Author of debut young adult novel, The Morning Star. Currently working on the sequel, Equinox, as well as a chick-lit, rom-com, slightly sleazy and funny story with a twist, Catching Frogs. And, because I'm loco in the roco, I've got about 12 more on the back burner. When I'm not writing I can be found kayaking, hiking, ninja-training, traveling, and taking a ferry over to the San Juan Islands to search for the elusive creature known as the "Orca." I also am constantly adding ridiculous wants, needs, must-see's and do's to my ever expanding bucket book. Thanks for hosting Tania! I might have missed out on this exciting book! Off to Goodreads to learn more now!